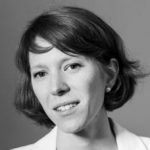 Carolyn Moser is a post-doctoral researcher at the Max Planck Institute for Comparative Public Law and International Law in Heidelberg, Germany. As a member of the SHADES-project, she investigates the evolution of the law and practice of illegality in international peace and security matters. Photo by Maurice Weiss. This blog post offers an excursion to EU civilian crisis management, an operational tool of the Union’s Common Security and Defence Policy (CSDP). Currently, some 2,500 experts—comprising lawyers, police personnel, customs officers, and security sector specialists—work in ten ongoing EU civilian missions in Europe, Africa, and Asia. Mandates cover a broad range of multidimensional tasks, such as rule of law support (in Kosovo), police training (in the Palestinian Territories), border assistance (in Georgia), security sector reform (in Iraq), or security-related capacity building (in the Sahel region).